Taoist Diet – A health secrets reign in the land of Traditional Chinese Medicine, an amazing path to healing. At its root is the concept of Tao. What does this mean to you, and how can you keep a diet like a Taoist? Read on! Aside from its likeness to our notion of karma, Taoism is like being at one with nature. Its essence, however, can’t be adequately described. It is a nameless force, a pathway to living the best life. Tao is simply “being”—and, in so doing, leading a healthy life. The underpinnings of Chinese medicine come from Tao. 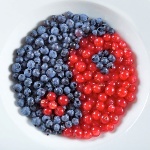 Those would be yin and yang, the Five Elements, and the other core aspects explored in our newsletter Chinese Medicine Healing Miracles. While Tao is so hard to describe, it does come with great dietary advice. First off, eat “only food.” This means avoiding unnatural foods, the kind filled with additives, preservatives and simple sugars. To eat like a Taoist, you eat whole foods, the fruit of the land, if you will. Second, eat mainly foods that are easily digestible. That means cutting down on red meat and dairy, which are not. Also, cut down on acidic foods that disrupt the acid balance of the stomach, including oranges and the like. Third, try to eat what nature intended for you. We are governed by seasons, so if you can eat locally grown food year-round, this is what nature intended. Organic foods are ideal. Forget about counting calories. You don’t have to worry about such things as much when you keep a diet like this. Taking in lots of whole grains, seeds, nuts, and seasonal produce, you get everything you need for optimal health. It will help maintain harmony in your body and mind. Specifically, eating like a Taoist means eating more whole grains, vegetables, fruit, seeds, nuts, soy, tofu, herbs, herbal teas, and warm foods like soups and stews. It also means eating less red meat, refined foods, white flour, tropical fruits, artificial additives, dairy, cheese, caffeine, alcohol, cold drinks and foods, strong spices, fried food, and sugar in general. While much of this sounds like modern thinking, it is actually the guiding path to health paved thousands of years ago.